Last week, in a stroke of luck, I won a ticket from Flokka (online blog community for women in business) to see Edward de Bono speak at a half-day seminar. 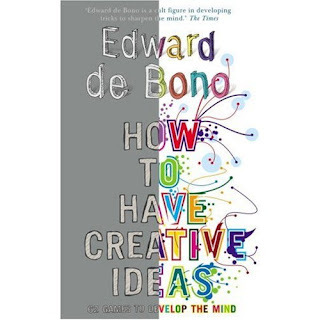 For those of you who aren't familiar, Edward de Bono is a very well-known 'Maltese physician, author, inventor and consultant who's the originator of the term 'lateral thinking'' (Wikipedia). He is best known for coming up with creative ways to approach the same problem and tricks to sharpen your thinking. Now, there's only so much he could cover in a few hours, so really I felt he just scratched the surface of a bunch of his ideas. Probably the most useful part was all the exercises he had us do as a group on each table, which really worked to emphasize the different ways to view and think about a topic or problem. 90% of the mistakes in thinking - outside technical matters - are mistakes of perception. The rest are mistakes of logic. "What do you see as the next phase for us i.e. agricultural, industrial and so forth?" "Complete robotization - but we'd have to teach them some manners..."